Till the still innermost chamber fronted him. Luxurious bower, flaming like a god. That journey home, the long connubial years? Got shrill as he grew deafer. And both were old. Troyward, or why poor Paris ever came. Her dry shanks twitch at Paris’ mumbled name. And Paris slept on by Scamander side. This article first appeared in issue 215 of the Gooner. It looks better in print and you can find it here. The first part of this article was posted earlier this year on this blog here. If you don’t read that first, this one won’t make much sense! As Autumn turned to winter a season of immense promise threatened to derail. We hadn’t lost a match, but lost ground in mid-November, when the FA, who were embarrassed by the Manchester United punch-up being broadcast around the world if not in England, docked Arsenal two points. We had, they argued, previous charges after a scrap against Norwich City the previous season. United, unbelievably at the time, lost only one point. The sense of injustice was huge, and the galvanising effect immediate. Everyone connected with Arsenal was convinced it was a conspiracy and at the next home game Southampton were routed 4-0. The next week Arsenal were behind again at Loftus Road heading into the last quarter of the game, before three late goals sent us all packed into that vile, poky away end into raptures. Our captain marked that win by reminding QPR fans how many bob their club and stadium was. Kevin Campbell was busy scaring the life out of defences. The drama kept coming. In the League Cup Manchester United turned up at Highbury in their blue and white chicken suit shirts. If our goal led a charmed life in the league at Old Trafford, in this match every time United shot, they scored. Lee Sharpe in particular was rampant. At the time he was one of England’s brightest young prospects and he arguably made the greatest back five in our history look more ordinary than any other player in any other match that night. Even Danny Wallace got one, after we’d pulled two back and at one stage looked like we were going to get back into the game. As agonising as the United reverse felt, Liverpool were the real enemy and our home match that Sunday was the biggest game of the season so far. 3-0 to us. Listen up everyone, this result seemed to be saying: we were going to be top dogs this season. The numbers looked good. Still no defeats. Points deduction starting to look irrelevant. Two fingers in the air. What are you going to throw at us next? The answer came quickly, and it came as a big shock. Tony Adams was sent to prison on 19 December 1990 for drink driving offences, four days after captaining Arsenal during a disappointing 2-2 home draw against Wimbledon. It was six days before Christmas and the courts were keen to send out a strong message. No arguments with that. Unfortunately it cost us our captain. Years later, however, no well-known name has been sent to prison for a similar drunk-driving offence. Years later, no other team has had even one point docked for on-pitch fighting. See why we thought everyone was against us? Adams’ plight presented fans with an ethical dilemma, but whatever the rights and wrongs of publicly idolising a man serving time in Chelmsford Prison, we stuck by Tony. ‘We’ve lost our Tony Adams’ to the tune of ‘You’ve lost that loving that loving feeling’ was a winter anthem. The team responded with three straight wins. Andy Linighan was thrown into the team next to Steve Bould. Considering the praise rightly lavished on the Invincibles team I still find it remarkable that this Arsenal side does not get more credit for nearly managing the same achievement 13 years before in far more trying circumstances. The unbeaten run lasted through January and fell at what was then the most rancid cesspit in the league, Stamford Bridge. Their ground today is a world away from what it was pre-Taylor Report. The away end was, like the Shed at the other end, thirty yards from the pitch. It had no roof and state of the art amenities: for 1905. Which was the last time someone had changed a lightbulb in the place. As if losing to them wasn’t bad enough, and seeing the small knot of idiots who used to congregate in the lower paddock of the West Stand as close as they could get to the away fans – still fifty yards away – dance about like demented apes, we then had to wait for an age in the fading gloom of a wintry west London night to be let out. The queue for Fulham Broadway station was still an hour, even after all that. But things were looking up and Arsenal were not to lose again in the league. Adams emerged from prison and, after a reserve run out attended by 8,000 supporters the same day as we finally saw off Leeds in the FA Cup fourth round replay, was back as captain for the return fixture against Liverpool. We headed up to Anfield for a very tasty away game on a crisp March afternoon. Stanley Park was warmed by early Spring sunshine and Arsenal’s away support was mildly mivved at being moved into the opposite corner of the Anfield Road end from the one we’d occupied in 1989. No matter, we were not messing around. Seaman made two magnificent saves from John Barnes, the media darling and perpetual man of the match. Then in the second half Paul Merson intercepted a wayward wobble from Peter Beardsley, advanced into the Liverpool half, swapped passes with Alan Smith and rolled it past Grobellaar. Behind the goal we sucked the ball into the net. It took and age to go in. When it did, it was party time. It felt at the time like we’d won the title and nothing could take it away. A solid series of wins and draws in March and April, including a 5-0 win over Aston Villa with David Platt taking over in goal at the end, and solid progress in the FA Cup once we’d got rid of Leeds after three replays had us dreaming of the double. You might want to look away now. We lost the first all north London FA Cup Semi Final at Wembley on April 14. I’m sure you know all you want to about that dark day. Before that semi-finals weren’t held at Wembley. Now we’re stuck with it. Another legacy of that unhappy day. Let’s move on. Kenny Dalglish’s heart wasn’t in managing Liverpool after Hillsborough, and though he made it throught the 1989-90 season on auto-pilot he had no stomach to take on George Graham’s ruthless pursuit of his sides title and he quit. Graeme Souness, the first but not the last Manager to win everything in Scotland and fail miserably in England, arrived to succeed him but there was no stopping the Arsenal juggernaut. Four games after losing to Spurs, and a few days after that rainy trip to Sunderland we were champions. In fact, it happened without a ball being kicked. Liverpool’s loss to Nottingham Forest meant we couldn’t be caught and the return game against Manchester United became a procession, albeit one livened up by the return of the big red ‘Champions’ banner and the sight of Robson, Bruce and the rest of Ferguson’s drinking club applauding us onto the pitch. If there was any hangover, and there surely was, then the players didn’t show it the following sunny Saturday against Coventry City, when an Anders Limpar hat-trick and another whack from Perry Groves brought the house down. A 6-1 win in front of 41,039 was the perfect way to end the season. 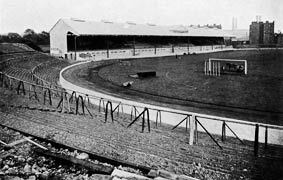 There were dark clouds that day – the launch of the bond scheme and the plan to make Highbury all-seater – but they couldn’t detract from a season of rich achievement, one of the greatest ever and certainly one of the most eventful. In the league our final stats read played 38, won 24, drew 13, lost one, goals for 74, goals against a miserly 18, and 83 points with a big fat asterisk next to it marking the two deducted points. Twenty years on there are lessons from the class of 1991 in guts, character, determination and the fine and hopefully not quite lost art of Arsenal defending. Thanks to all the excellent people on YouTube who thoughtfully uploaded videos of this season. A History of London Life by R J Mitchell and M D R Leys is a lost classic of London historical writing, dating from 1963. It takes the reader on an admirable journey through the history of the city at street level, looking at Londoners and their lives through the ages. You can find it on abebooks. I am indebted to friends who picked up a copy for me in upstate New York, a long way from home but couriered with great thought and care. Teams of Londoners played games among themselves and also against the neighbouring suburbs; in the summer of 1222 a wrestling match with the youths of Westminster had a disastrous sequel. The city men won, and a return match was fixed for a week later, but this time the Steward of the Abbey armed the home side so that the Westminster men set about the Londoners and caused many casualties. The irate Londoners went home to gather strength and, ignoring the advice of the Mayor, rushed to Westminster and pulled down the Steward’s house. When the Abbot came to complain they seized his horses, beat his manservants and stoned him out of the city. The Abbot in question, if the dates are right, is either William de Humez or Richard de Berkyng (of Barking), most likely the former as Richard did not take his position until October. The High Steward of Westminster Abbey today is a ceremonial position held since June by Tory peer Lord Luce. And what of the over-exuberant boys of the City, and of Westminster? Well, chances are they weren’t roughed up by their wrestling, which seems to have been an exercise in endurance grappling rather than the Giant Haystacks kind of wrestling we may think of today. That might also explain why the Londoners had enough about them to pull someone’s house down after a bout. It might be worth considering next time you stroll down the Strand that both parties – and the aggrieved Abbot – would have stomped their way down the same route which was then a little more than a rural track. In 1222 John III Doukas Vatatzes was crowned Emperor of Byzantium, the European discovery of America was still over 200 years away and Henry III was King of England. And in a small, thriving city a bunch of blokes had a good old scrap which got quite out of hand.